The rider has to get agreement from the Ride Organiser when they want to ride a permanent then they register online using the portal (up until the night before the ride). When a rider completes the registration they are emailed a PDF copy of the brevet that can be printed and used for the ride. On completion, scan or photograph the completed brevet and upload using the link provided in the registration email. You will be emailed a brevet number when processed by the Ride Organiser and Regional Brevet Secretary. Some permanents are given below. 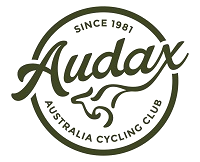 For the complete list of >50 Qld permanent rides see the audax.org.au web site: under Regions>Queensland>Permanents. If you don't already get email notifications, sign up here.